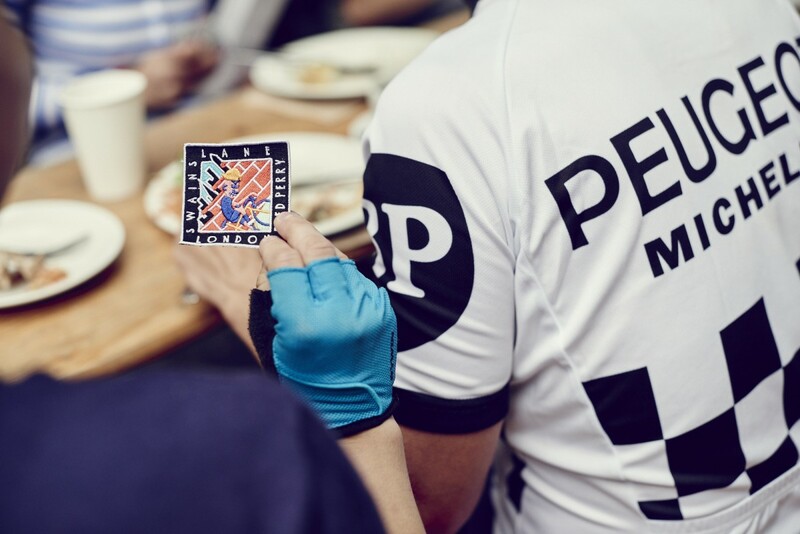 I recently hooked up with the lovely guys at Fred Perry in London to organise a fun, social ride to celebrate the release of their super nice cycling cities patch collection. Designed by local artists, the patches celebrate the thread of creativity that runs through cycling’s passionate devotees, showcasing some of the finest city rides in the world. 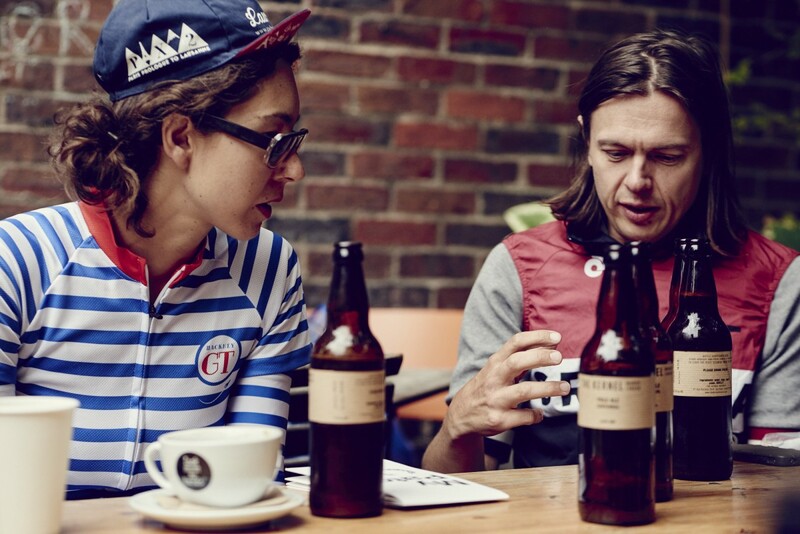 Just as cycling means more than just pedalling, the locations on the patches speak to the heart as well as the body and were chosen by the artists as they capture cycling’s camaraderie. 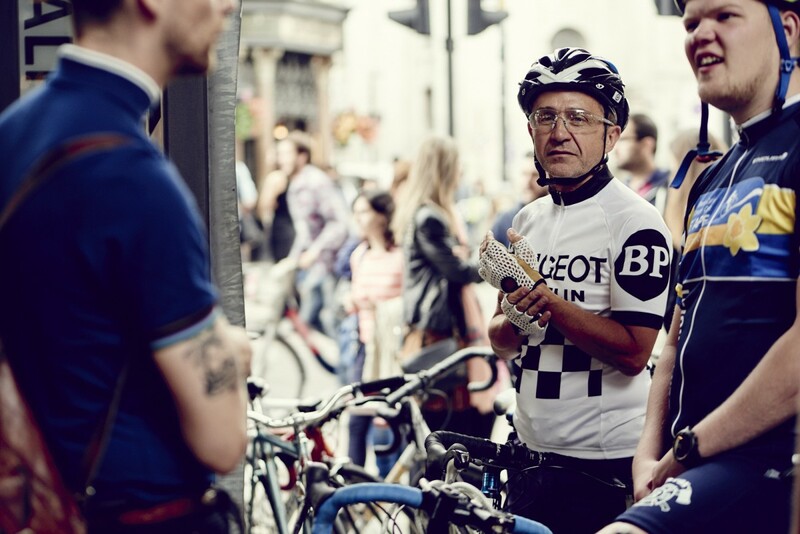 I was delighted to join up in more than one capacity – both behind the scenes (wearing my copy-writing and marketing cap) and on the bike (wearing a helmet) to lead the ride itself. 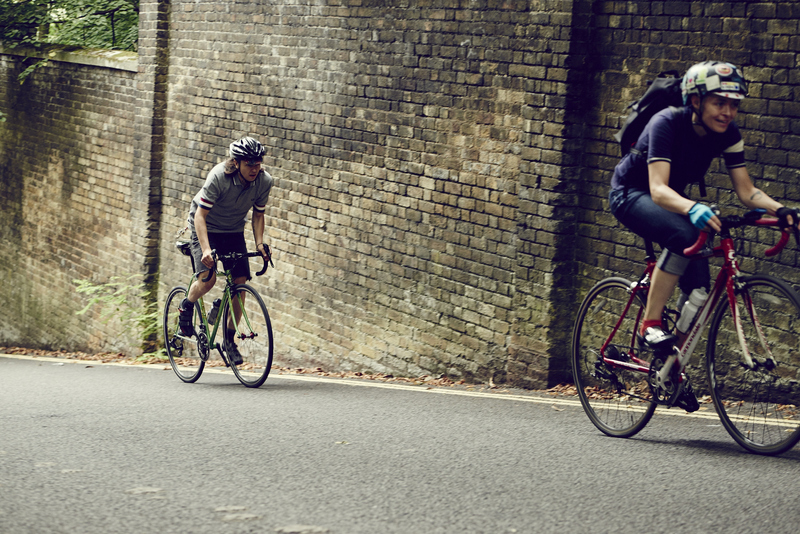 The London patch is designed by Thomas Slater and features London’s worst kept cycling secret – Swains Lane – a road that features on many a bucket list and is regularly named ‘best hill in London.’ But even though the hill is widely acknowledged as being fairly challenging (by London standards), the aim of our Sunday Ride Out was not to grimace, gurn and sweat our way up, but rather to have a chat and a giggle whilst rolling around London then head to Look Mum No Hands for coffee and cake. With places on the ride strictly numbered, I was joined by a small but excited bunch at Fred Perry’s Spitalfields store on Sunday, all keen for a potter, and by some stroke of luck it turned out everyone was really friendly and very easy to get on with. 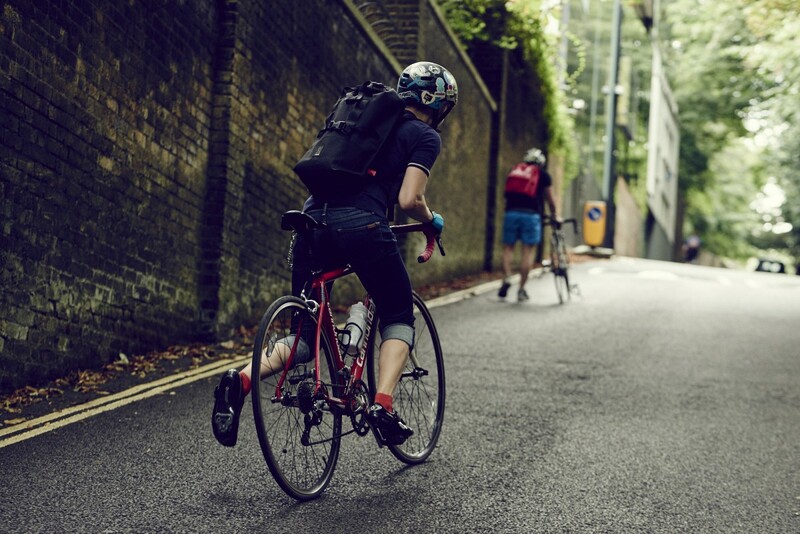 With the Sunday traffic fairly quiet, we wound our way up through Holloway getting to know one and other, continuing through Tufnel Park to arrive at the foot of Swains Lane, which some had been dreading, others eager to conquer. Everyone rode up at their own pace and managed just fine, some arriving sweatier than others, then we stopped for a natter before bombing down the adjoining road for a cruise down to Look Mum No Hands. 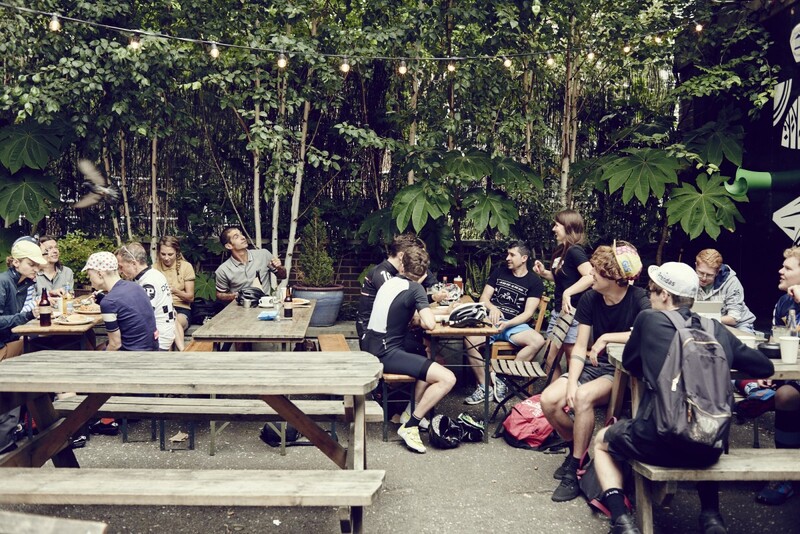 It was such a pleasant ride with no time schedule, no Garmin, and the chance to make new friends – I’m definitely up for organising more social rides. Once at Look Mum No Hands, we distributed the patches and forged new friendships over coffees, pies, cakes and some rather nice beer (The Kernel’s Pale Ale). The next four My Patch rides will follow the same format and take place in New York, Tokyo, Paris and Munich. I think I definitely need to be at all of them to make sure everything runs smoothly…… so here’s hoping! Thanks again for a lovely ride. Nice crowd. It was great to meet everyone and hang out for the afternoon. Really enjoyed the ride and the company, as Juliet says, a good bunch of folk! Can I come to NYC?! Up Next. Track Racing Take 2 and a million other things!